There is something so special about choosing a child’s first ‘stuffed animal’; it’s something that they hold on to like a security blanket, it’s their best friend, and something they’ll remember for the rest of their lives. You want that gift to be memorable and genuinely made with love, because you’re giving it with love. When I came across Cuddoll’s I couldn’t believe how adorable they were. They’re cute and cuddly friends that I actually wanted for myself as an adult! Cuddoll’s aren’t your average ‘stuffed animal’, there’s something beautiful about their aesthetic that makes you want to display them in your home. What’s even more amazing is that they’re sustainable and produced by mothers, so you know who’s touched this before your child has. 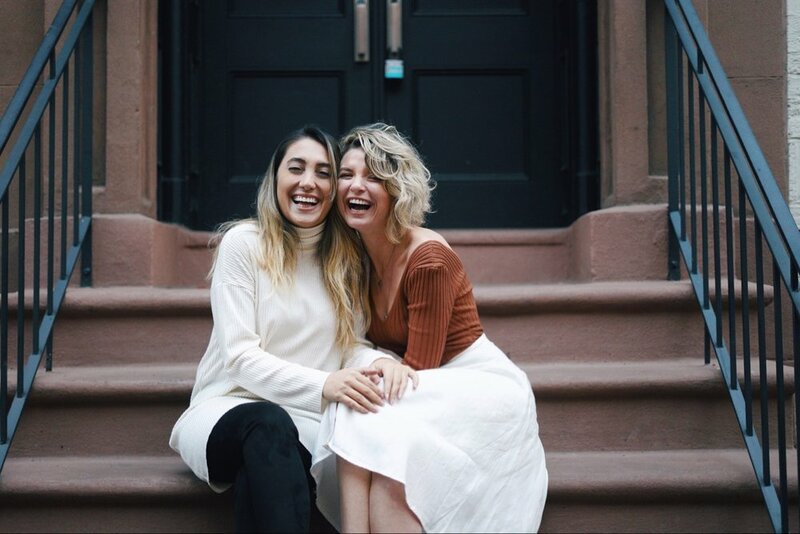 We are Begum and Didem, two New York-based Turkish friends and entrepreneurs with a passion for creating beautiful, handmade products that are loved by children and trusted by parents. We are two women who have dreams. We started our journey in a different country and now we are living in the US, land of opportunities. We were accompanied by our dreams on our life journey. Our dreams inspired us to create a brand enhanced by women power.
. We believe in women’s power.
. We believe in women’s dreams. Our Cuddoll family stands for happy moments shared with our loved ones. It stands for a sustainable future for all, and it stands for all the women out there who have dreams. To bring joy and happiness to children. To inspire children’s creativity, cognitive skills, and peaceful imagination. To help you to share happy moments with your beloved baby. A lifelong friend Your Cuddoll doesn’t just belong to your childhood. It is an heirloom you can pass to your offspring. Cuddoll will be the only toy you keep through your adulthood. A friend reminds you of your childhood innocence. Cuddoll is an heirloom you can pass to your offspring. Cuddolls are hand knitted by women who need emotional and financial support to start over and live a healthy life. We are healing and supporting these amazing, passionate moms by putting their creativity to work making unique, handmade crafts in a safe and supporting environment. We wanted to give them something unique. An heirloom doll that is safe, cuddly and that would stay with them for the rest of their lives, just like our heirloom dolls from our childhood. They can, of course, have ours, which we still have on our beds (do not laugh!) but still. We were in search of creating new memories for them…We searched and searched, but we were unable to find what we were looking for, and guess what? We decided to take matters into our own hands and design the product ourselves!It was also important for us to make sure we would contribute to society and give something back. And the answer came from Begum’s mom, who after a difficult divorce, had spent a long time feeling lonely and isolated, and was also keen to help other women in the same situation. Together, we partnered up with an organization to create a working environment for women who need emotional and financial support to start over and live a healthy life. We built several workshop studios within this organization in Turkey to teach these women how to fish! We have an open-door policy. From beginners to experienced handcrafters, they are all welcome to join our team to create, share, and heal! We are now healing and supporting these amazing, passionate moms by putting their creativity to work making unique, handmade crafts in a safe and supporting environment. Filiz is also one of them… Making her granddaughter’s first doll was priceless for Filiz, Begum’s mom. And just like that, Cuddoll was born. Each toy is handcrafted by women who are developing self-esteem as they feel financially comfortable. Cuddoll is produced by mothers who share their hearts, their dreams, and their passions with your dolls. That’s why each of them is unique!